It’s May 4th, 2014! Welcome to the Second Annual Seattle Artisan Fragrance Salon (and chocolate show) at the Bell Harbor International Conference Center on the Seattle waterfront. As we enter we see the Olympic Orchids booth tended by perfumer Ellen Covey and friend Stacey Gilbert. Ellen Covey’s 2013 Blackbird was a finalist in the recent Art and Olfaction Awards and her newest offerings, Sakura and African Orchid, are at least as beautiful as Blackbird. Sakura, a light and realistic cherry blossom fragrance, seems to remind my grand daughter Allie that Spring is actually in Seattle, despite the foul weather. Ellen’s soaps and oils are a also treat and I hear she may be venturing into yet another format in the near future. We take our time enjoying Olympic Orchids fragrances before moving on to NomadTwoWorlds. Nomad is by no stretch of the imagination an artisan perfumery. The house perfumer is the extremely talented master perfumer Harry Fremont who, while working with Firmenich, has been the nose behind over 70 top designer and celebrity fragrances. That being said, Nomad’s perfumes are lovely. I especially enjoyed their signature oil FireTree. The company’s commitment to supporting indigenous peoples, while bringing their raw materials to market (via Firmenich? ), is very interesting indeed. Harry Fremont is not manning the booth (no surprise) but here is a photo of a couple of the Nomad crew at work. For a real artisan, all natural and local experience we head over to Meshaz Natural Perfumes and perfumer Mesha Munyan assisted by her son Evan Winter. Mesha operates a small farm on Washington’s Olympic Peninsula near Sequim where she grows and distills lavender and creates her own perfumes from botanical tinctures and oils. Mesha is a nationally known expert on lavender and lavender oils. My current favorite in her line is Zauvage, but all of her perfumes are exquisite, powerful and carefully crafted, a must try for botanical (and all) fragrance lovers . We would like to stay at Mishas’s booth for hours but, moving along, we find two new faces at this year’s salon! Perfumer Kenneth Cory and friend Michael DeLong are here for the first time, in fact this is one of Kenneth’s initial fragrance shows and what a fabulous collection of perfume he is offering! Son A-1 and I love his entire line, especially Fougere Osmanthus. I know husband B-Azar will also take a shine to this one. I am bringing home samples of everything and looking forward to learning more as well as writing more about Kenneth Cory and his beautiful fragrances. Next door to Kenneth, award winning veteran Pacific Northwest perfumer, Karyn Gold-Reineke, has set up her Pirouette booth. Karyn’s gorgeous soaps, perfumes and lotions have been enjoyed by so many of us for several years now. My favorite of her fragrances is the botanical perfume Moss Garden. Her sets of tiny sample soaps are works of art, beautifully scented and exquisitely wrapped. I am buying some for gifts but know I will have a hard time parting with them. Also, I noticed that Karyn is displaying a small box labeled “Indie Fragrance Criterion”. This is a sample set of PNW perfumers co-curated by Meredith Smith of Sweet Anthem and Tigerlily Perfumes in San Francisco. The set includes samples by 6 PNW perfumers including Sweet Anthem, Rebel and Mercury, Sweet Tea Apothecary, Olympic Orchids , Pirouette Perfumes and Blooming Dreams. Look for more about this set and a possible give-away soon. As we turn the corner Rosarium Blends grabs our attention. Catamara Rosarium is the talented perfumer, master herbalist, ritual artist and real live alchemist behind the line. Her partner Marcus McCoy is an accomplished distiller. The calibre of their fragrances reflects their depth of knowledge and experience. One of my favorite Rosarium Blends is Satyr. Catamara and Marcus are both fascinating personalities and it would be great fun to bring their perspective on perfumery to APJ sometime in the future. Our final visit of the day is to JT Siems’ Sweet Tea Apothecary. JT’s love of history and literature inspire her 16 currently available fragrances. Sweet Tea Apothecary perfumes are rich, mixed media scents with interesting, evolving profiles, classically evocative with timeless appeal. A couple of my favorites are Archibald (for Archibald Menzies, one of the first scientists to explore the PNW) and Dharma Bums (what else but a patchouli fragrance referencing who else but Jack Kerouac)! I hope you have enjoyed this visit to the Second Annual Seattle Artisan Fragrance Salon. Now off we go to the Chocolate Show! Who knows..maybe we will meet in person at an event like this – somewhere, sometime! Great job Azar. I loved reading about your adventures at the Seattle Salon. I hope one day to come hang with you and the crew there. Thank you so much! I had great fun doing this one, Portia. The Chocolate Salon that ran in tandem with the Fragrance side was a bonus. Both the Seattle and the SF Salons were set in motion by A.K. Crump (Taste T.V.) and Yosh Han (among others). I’m hoping these salons will continue next year in both locations. We could hang out at either one! Thank you for the beautiful and very thorough coverage of the Seattle salon. It would be awesome if we could get Portia here as a guest of honor for next year’s event! Not next year Ellen but MAYBE the 2016 Salon. MAYBE. Wonderful article! Was fun to see to see everyone and all their creations – a talented and lovely group of people for sure 🙂 Thank you so much! You are very welcome, Karyn! It was my pleasure. Thank you for dropping by! There is so much going on out your way that I don’t even know where to begin. 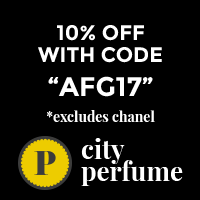 Check out Sniffapalooza, Providence Perfume Company, perfumepharmer. I will send some more names. Maybe an APJ on the US east coast knows more about what is happening this summer in your neighborhood? Do we have anything like this in Sydney? I would love to have my ranges in front of people to experience them like this. I imagine that you have something similar in Sydney. Thank you for checking this out. As a consumer I really appreciate an event like this where I can sample perfumes and visit with the perfumers…and then go and enjoy some chocolate too!